We all agree that distracted driving is dangerous. Whether it is texting, taking a call or switching the radio station, anything that takes your eyes and attention off the road is dangerous. April is National Distracted Driving Awareness Month. Our team at Evergreen Personal Injury Counsel is dedicated to spreading awareness on the dangers of distracted driving and offering some helpful tips to make you a safer driver and the roadway a safer place for everyone. So what exactly is considered “distracted driving?” Distracted driving is defined as doing an activity while driving that takes your attention away from safely operating the vehicle. Distracted driving can involve physically removing your hands from the wheel or it can even mean daydreaming or taking your mind off of the road. Make no mistake—distracted driving is deadly. According to the CDC, each day in the United States more than 8 people are killed and 1,161 injured in crashes involving a reported distracted driver. Cell phone use and texting is considered to be the most common driving distraction. The NHTSA found that texting while driving is actually more dangerous than driving with a blood alcohol level of .08 – the percentage most states use to determine intoxication. 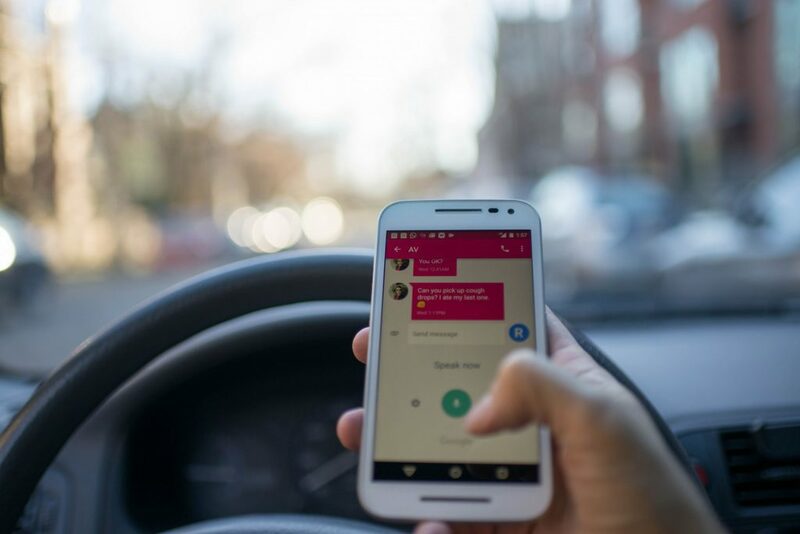 Since 2010, the state of Washington has implemented cell phone laws that allows police to ticket drivers for talking or texting while driving, although hands-free devices are allowed. Any kind of cell phone use (handheld and hands-free) is prohibited for novice drivers. The fine for cell phone use is $124 for a first-time offense and can be more if you cause a vehicle accident. While driving, put your cell phone in a place that is not easily accessible from your driver’s seat. In case of an emergency situation, pull over to the safe area to make a call or send a text. While hands-free devices may seem like a safe option, they can still cause you to miss important visual and audio cues needed to avoid a crash. Be sure to get your ducks in a row before you put your car in drive. This includes setting up your GPS route, posting on social media or finishing breakfast. Get organized before you head into your vehicle to eliminate the need for multitasking. If you have a passenger in the car, use them. Rely on your passenger to manage the GPS, make calls or texts for you or perform other tasks. This will allow you to fully focus on the road without having to multitask. If you were injured in vehicle accident involving a suspected distracted driver, contact your auto accident attorneys at Evergreen Personal Injury Counsel. The best way to hold a distracted driver accountable for their negligent actions is to consult with an experienced attorney to ensure your legal rights are protected. After an initial consultation, we can determine if your injury claim is viable. Our auto accident attorneys will carefully investigate your vehicle accident, collect evidence and build an effective case strategy. If you cannot come to our office in downtown Tacoma, we are available to come to you. Schedule a complimentary consultation with our team today and make a commitment against distracted driving through April and beyond.